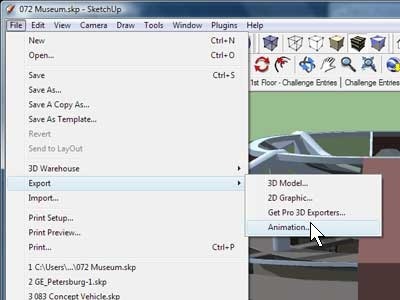 Using the animation export feature can be used to export multiple scenes to 2D images very quickly. The only drawback to this method is that there are no JPEG quality settings to change. If JPEG quality is of the utmost importance, use the regular 2D Graphic exporter for each scene. 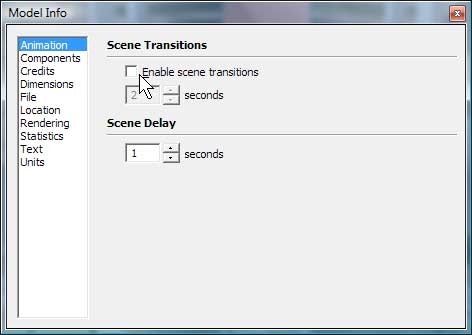 Un-check “Enable scene transitions> in the Model Info dialog (Window>Model Info). 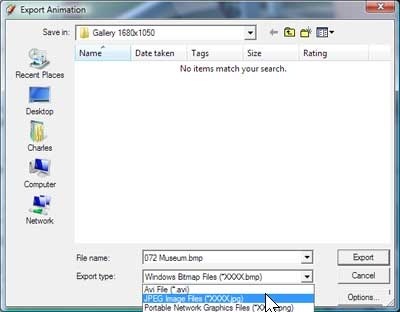 Launch the Animation exporter (File>Export>Animation). 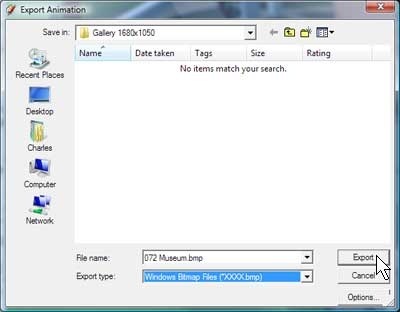 Navigate to the folder you want to save images to. 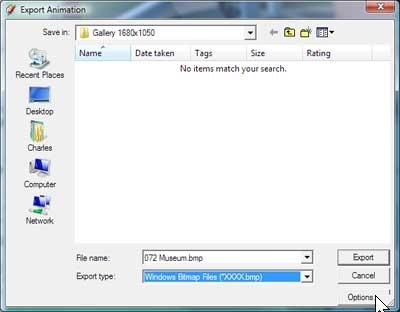 In the “Export type” drop-down select the image format you wish to use (JPEG Image Files (JPG), Portable Network Graphics Files (PNG), Tagged Image Files (TIFF) or Windows Bitmap Files (BMP)). Click “Options” button to set size options. I typically use 1024×768 for exports but you may select any size you like. 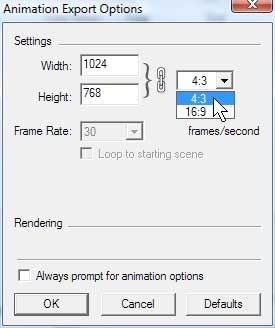 If you want to use standard aspect ratios (recommended) choose 4:3 (standard) or 16:9 (widescreen) in the drop-down next to “Width”, otherwise click the chain icon to allow any specific size you chose. Sizes you might consider are 640×480 (small), 800×600 (medium), 1024×768 (large), 1280×1024 (larger), 1600×1200 (huge). Click “OK” when done. Click “Export” to start exporting.